Thank you, I appreciate your comment, Chris! Thank you so much Juergen, most appreciated! Thank you so much, Lara, for visiting this artwork, and for your lovely comments! Thank you so much for your lovely comment Judy! 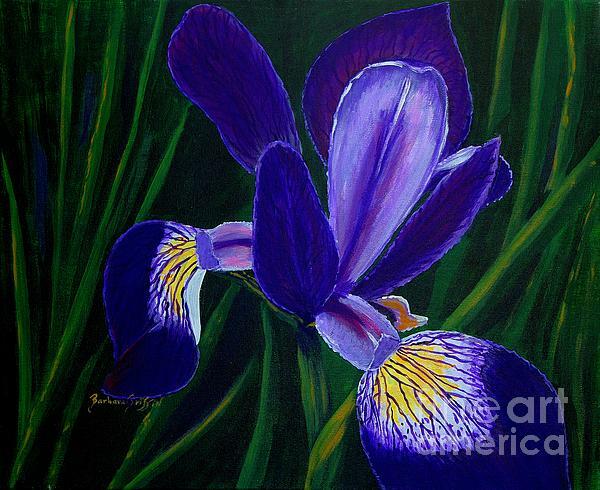 I like the colors and lines in this piece -- very straightforward and clear. 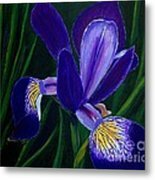 Purple Iris by Barbara Griffin. Common marsh flowers in Newfoundland and Labrador. Beautiful royal purple leaves with yellow and white patches. 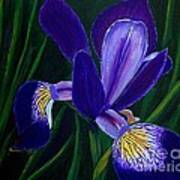 They are known as Blue Iris and are commonly called blue flags or flagroots.